Microgreens, the seedling stages of greens such as broccoli and basil and sunflowers, are moving from restaurant menus and into home kitchens. 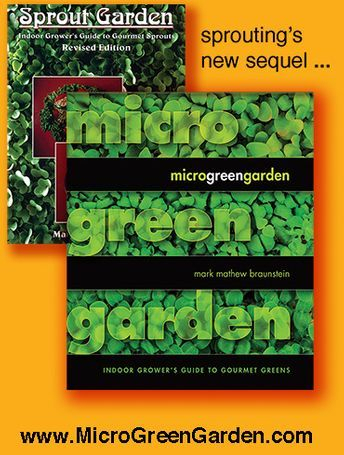 New to whole foods cuisine, if microgreens are new to you, you will learn how to move them into your kitchen. 2-hour Workshops demonstrate 3 techniques for indoor gardening, discussing seeds, soil, water and light. Essentials are demonstrated for 90 minutes, then 30 minutes are devoted to sampling 20 varieties to awaken your palate and inspire your gardening. (Additional time is available for further discussion for those who wish to stay, and most people do.) You will go home with sample seeds and a pint start-up kit. 1-hour Demos are simpler and shorter, demonstrating only 1 technique for 30 minutes, then 30 minutes devoted to sampling more than 15 varieties. You will go home with sample seeds and a pint-size start-up kit. 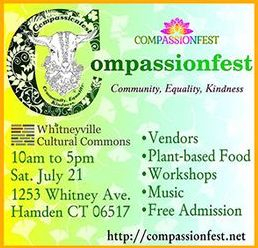 Admission to Compassionfest, which is outdoors, is FREE. The food demo, which is indoors (with AC), costs $10. Enrollment is limited to 30. Mystic Garden Club - April 23, 2019 - but attendance open only to members, sorry! Mark Mathew Braunstein has been a vegetarian since 1966, a vegan since 1970, and a whole-foods high-raw vegan since 1977. His articles about growing sprouts and microgreens have appeared in Vegetarian Times, Natural Health, Vegetarian Voice, and Healing Our World, and he is the author also of Sprout Garden.